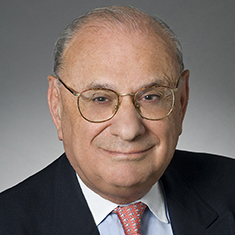 Donald Siskind concentrates his practice in real estate law. A past president of both the American College of Real Estate Lawyers and the Board of Education of Union Free School District #6 at Scarsdale, New York, Donald is also a past chairman of the Anglo American Real Property Institute. Donald has been a participant in, or chairman of, real estate seminars and conferences and has lectured frequently at the Wharton School of Business Real Estate Center, where he was a member of the Center’s Advisory Board and a member of its Executive Committee. He was a lecturer in law at Columbia University Law School where for several years he taught a seminar in advanced real estate transactions. He has written numerous articles and edited various monographs on the legal aspects of real estate and property investments. Shown below is a selection of Donald’s engagements. Representation in the 1987 sale of The Cadillac Fairview Corporation Limited. This transaction, together with the separate sale of the US urban and industrial property divisions, is known to have been the largest real estate transaction ever consummated at that time. Representation in connection with the formation of the Houston Center joint venture between Cadillac Fairview and Texas Eastern Corporation, covering 33 blocks in downtown Houston. Counsel in connection with the submission to cooperative organization of North Shore Towers, one of the largest co-op conversions ever. Counsel in connection with the lease with an option to purchase by Sony Corporation of the AT&T Madison Avenue headquarters. Counsel in connection with the purchase of the Madison Avenue IBM World Headquarters in New York.